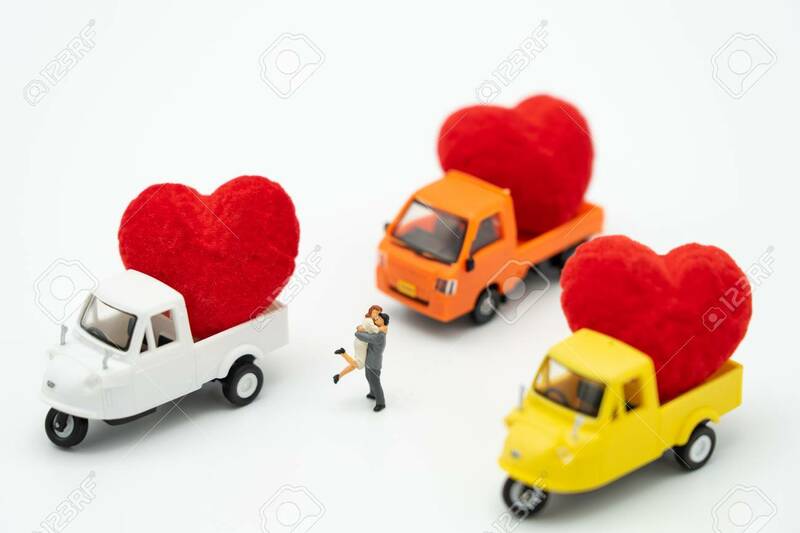 Couple Miniature People Standing With Red Heart Is The Promise Of Love. Using As Background Valentine Concept With Copy Spaces For You Lizenzfreie Fotos, Bilder Und Stock Fotografie. Image 114602748.